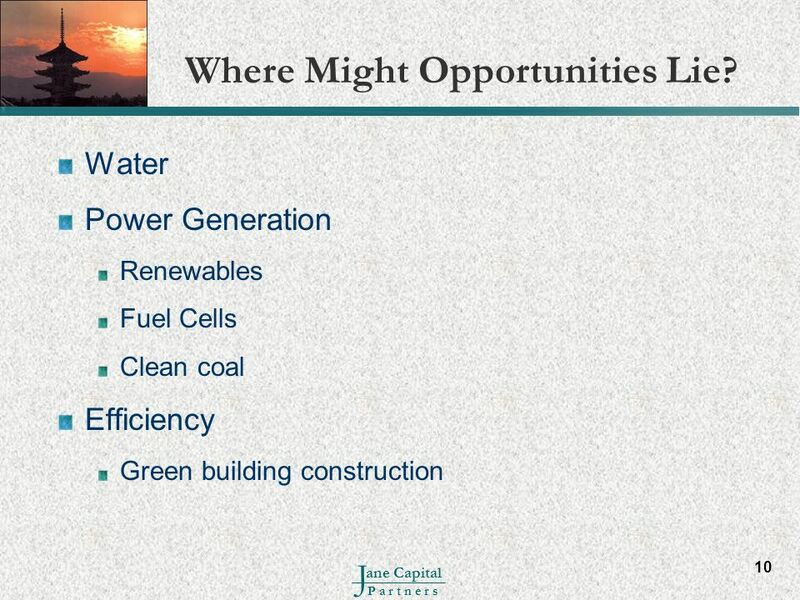 10 Where Might Opportunities Lie? 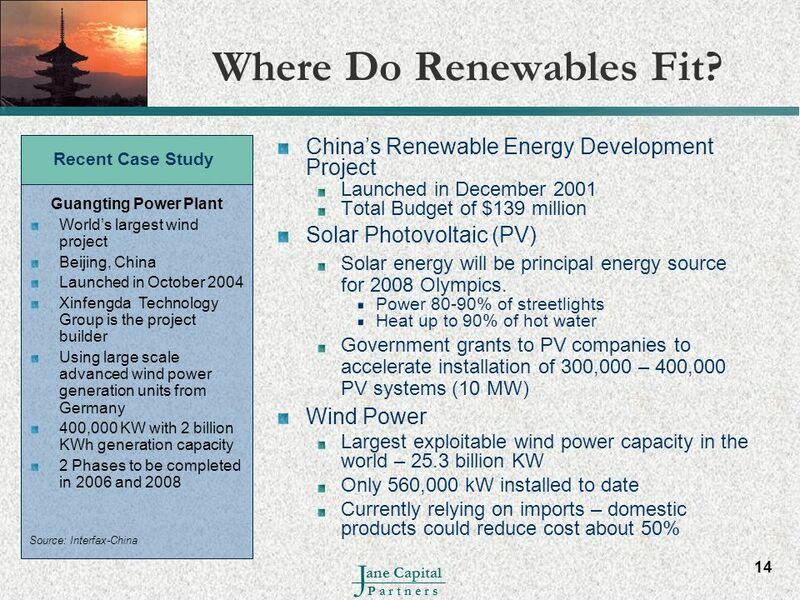 14 Where Do Renewables Fit? 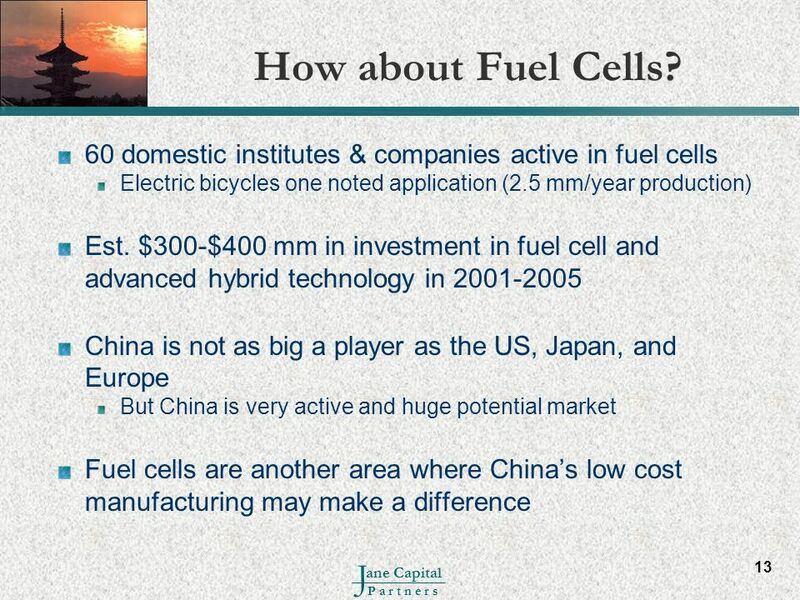 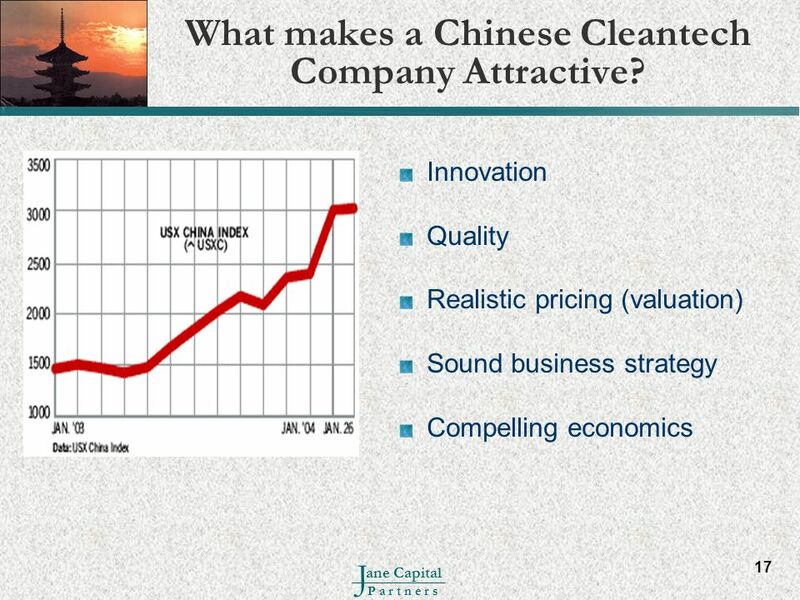 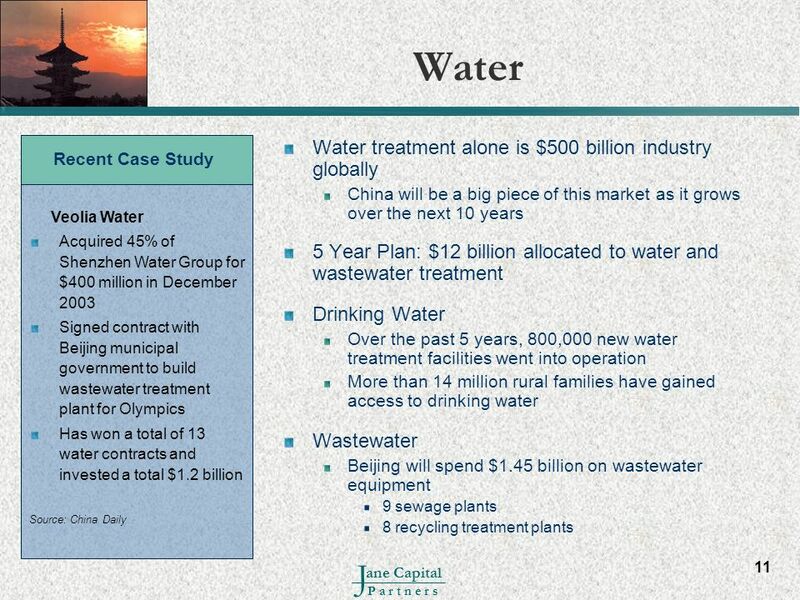 17 What makes a Chinese Cleantech Company Attractive? 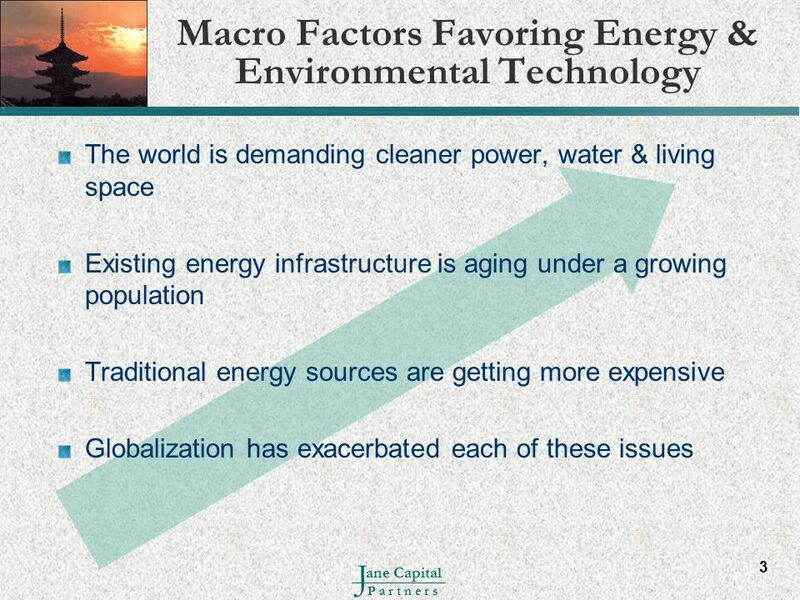 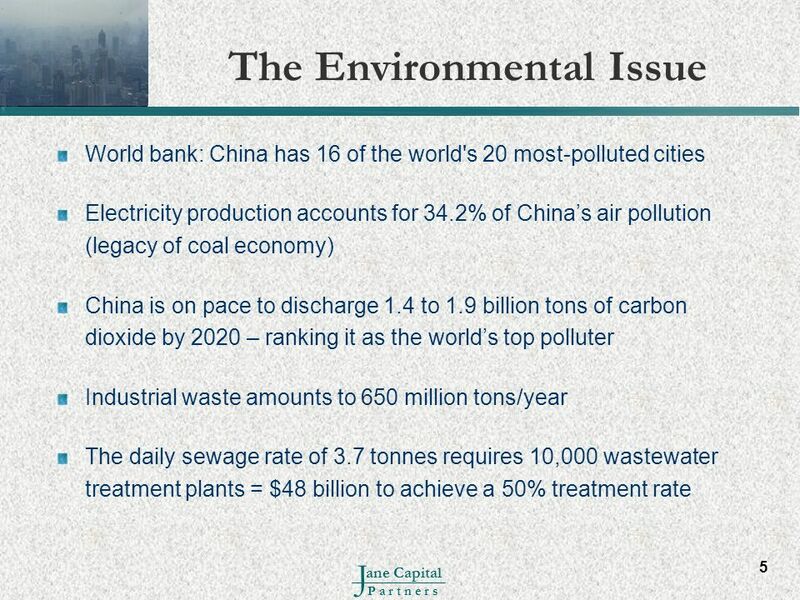 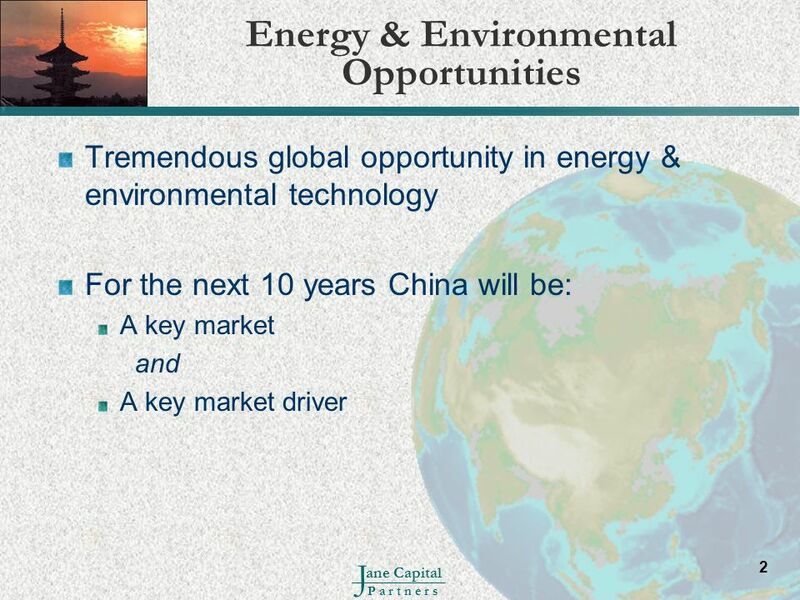 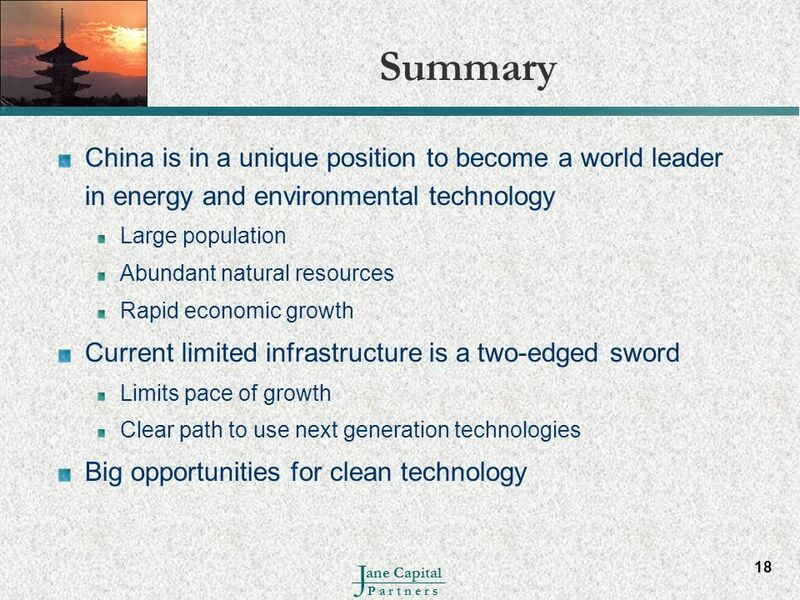 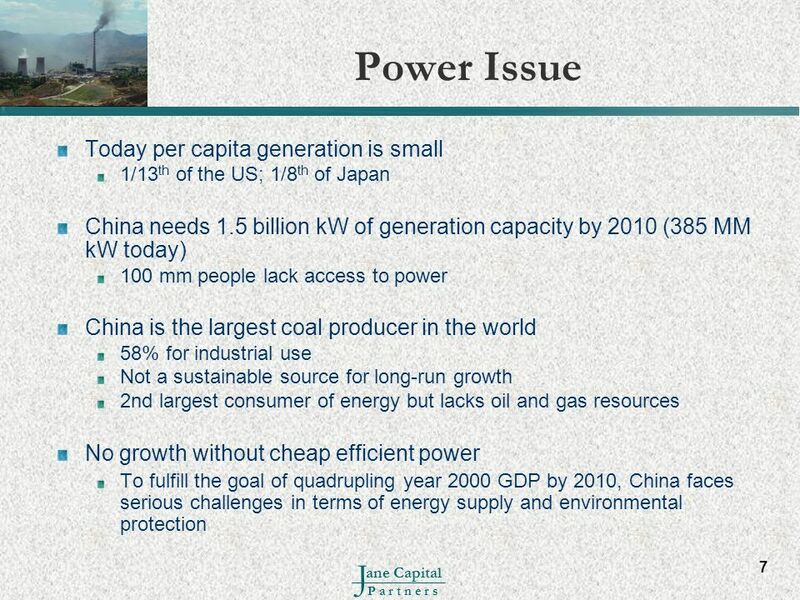 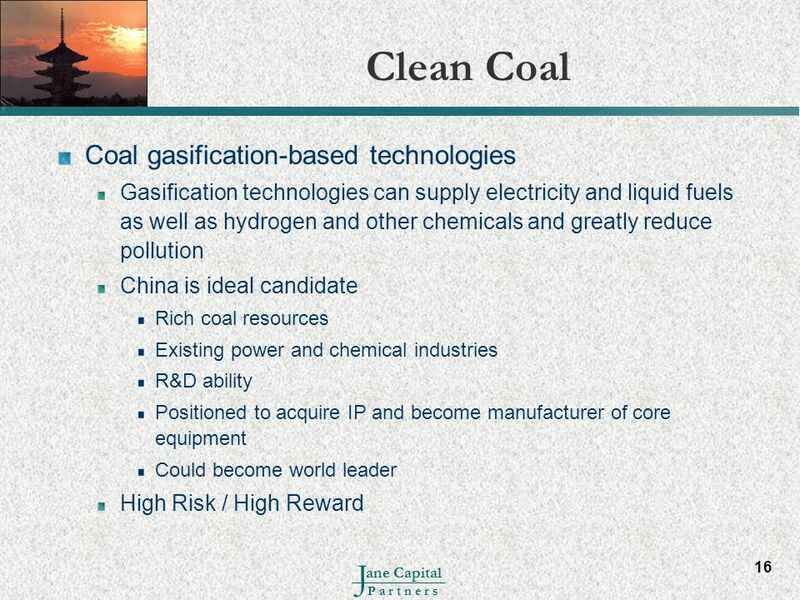 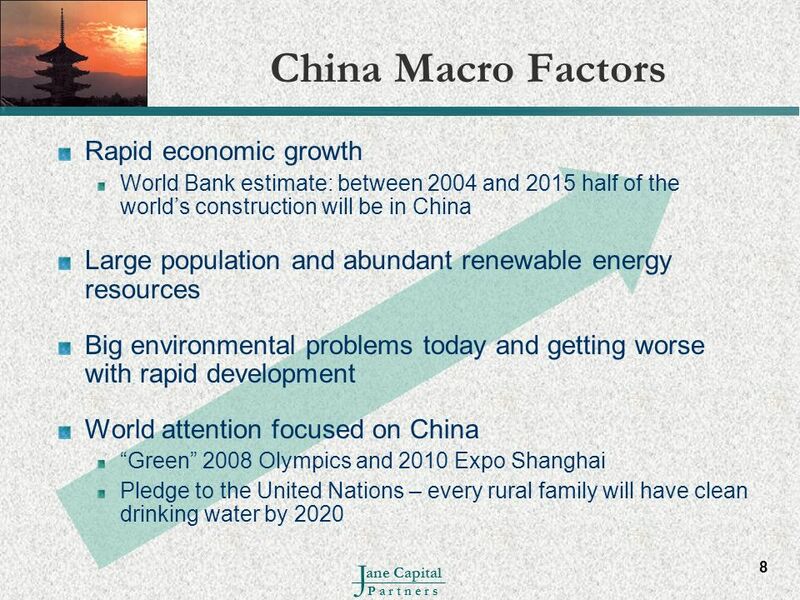 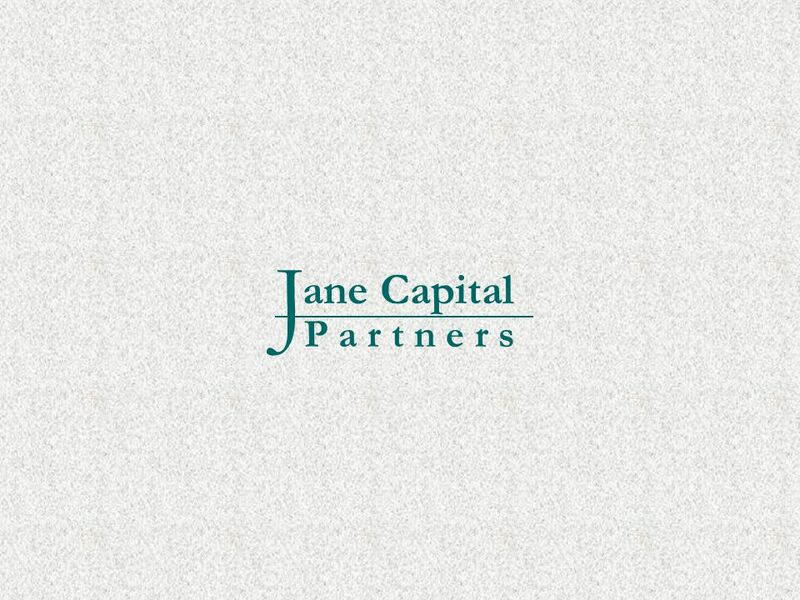 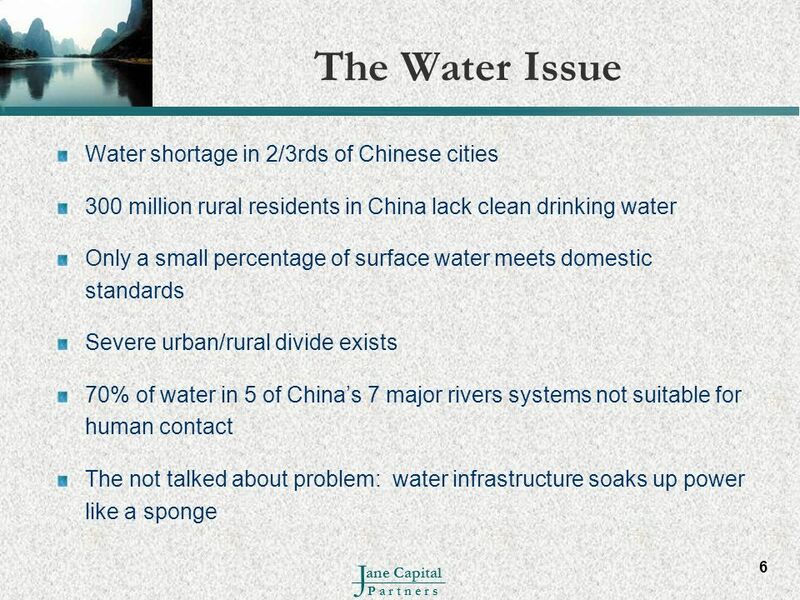 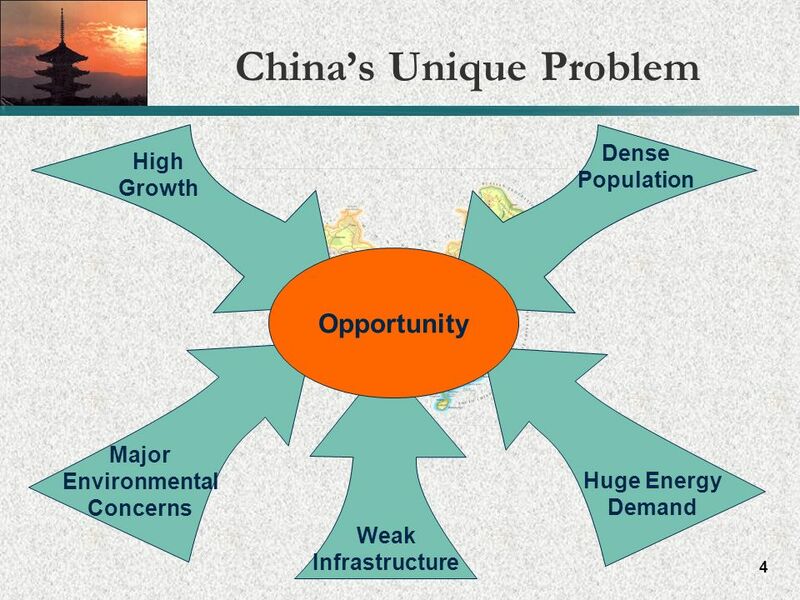 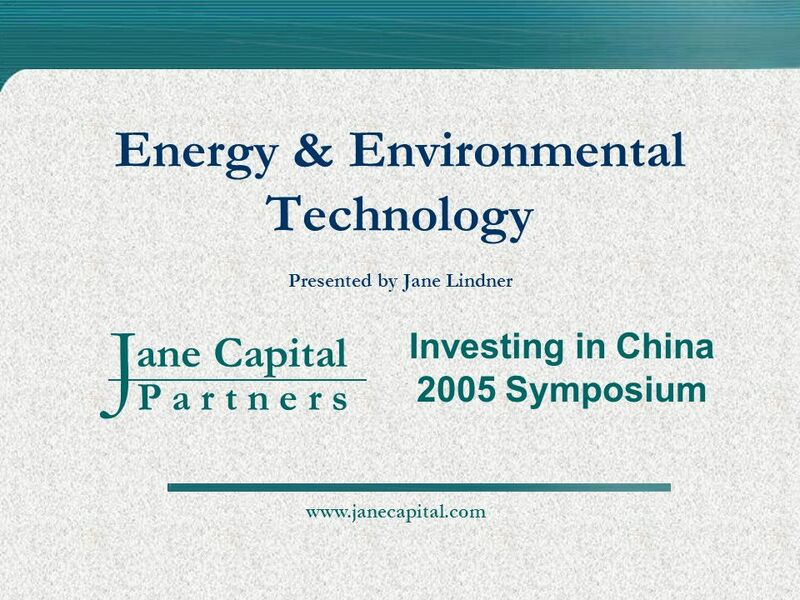 Download ppt "Energy & Environmental Technology Presented by Jane Lindner"
Christopher M. Dent University of Leeds Chinas 12 th Five Year Plan, Energy Security and Domestic Stability. 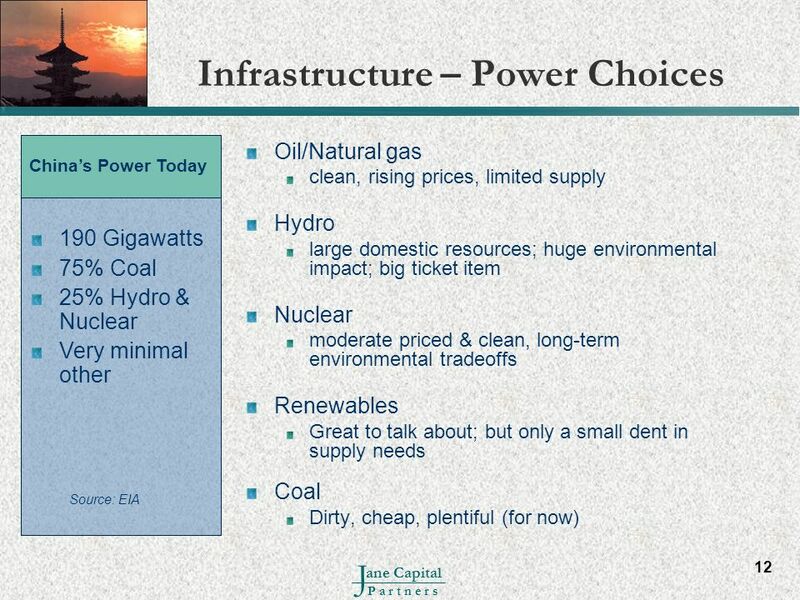 Insights on Economic Impacts of Utility Mercury and CO 2 Controls Anne Smith Charles River Associates North Carolina DENR/DAQ Workshop on Mercury and CO.
FLORIDA RENEWABLE PORTFOLIO STANDARDS: IMPACTS AND OPPORTUNITIES Florida Renewable Energy Producers Association Presented by Michael Dobson. 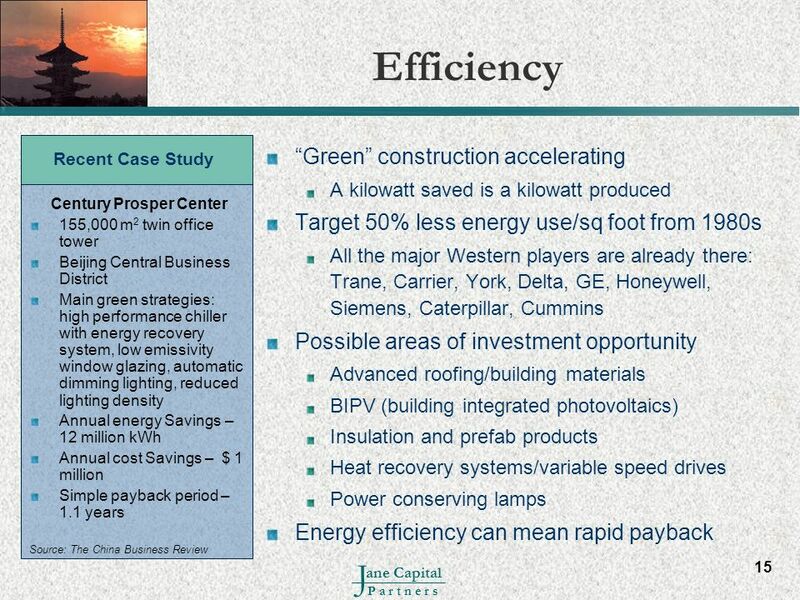 Solar Energy Ashley Valera & Edrick Moreno Period 6.